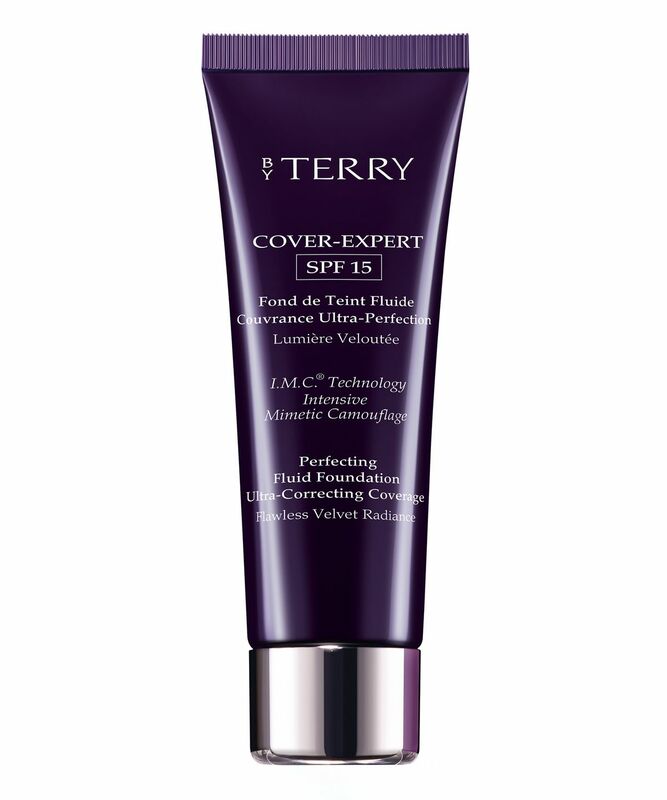 A beautiful base for all those concerned with blemishes, scarring, uneven skin tone or other imperfections, By Terry’s Cover-Expert has a lightweight yet full-coverage formula to unify uneven tone and disguise anything you wish to hide, without looking overly heavy or ‘made up’. Combining ‘covering prisms’, ‘blur effect’ micro-powders and superfine pigments, this virtually melts into skin to create a flawless, ‘soft focus’ finish without exacerbating congestion, clogging pores or suffocating your skin. With a nourishing, non-drying texture, it’s the ultimate foil for ‘bad skin’ days – just apply sparingly where needed, then blend into skin with the warmth of your fingertips, or By Terry’s Foundation Brush (Precision 6). Available in a spectrum of flattering shades to guarantee a perfect match. 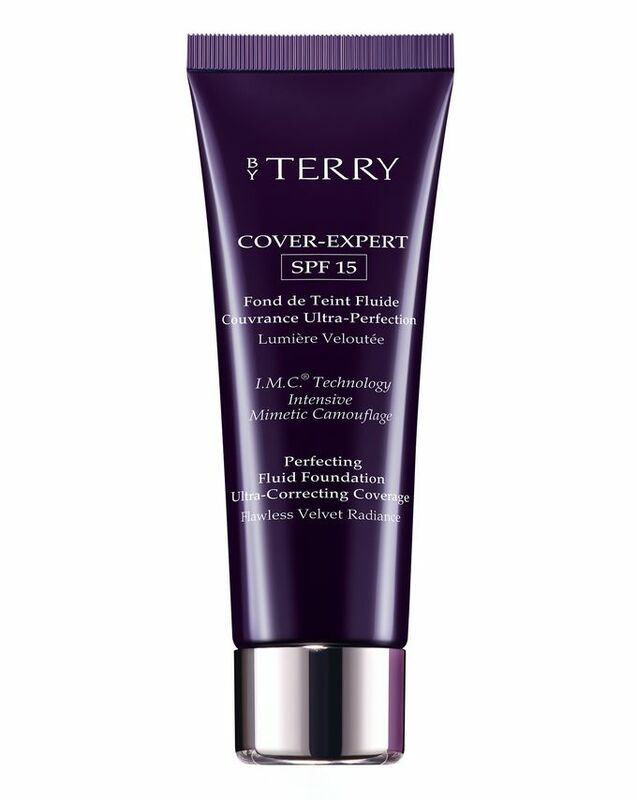 Apply to primed skin with your fingertips or By Terry's Foundation Brush (Precision 6). For a totally flawless finish, follow Hyaluronic Hydra-Primer with Touch-Expert Advanced to disguise the most visible imperfections, before applying Touch-Expert sparingly, working from the centre of your face outwards for a natural-looking finish. Finish with Hyaluronic Hydra-Powder to 'set' your base and enhance its longevity. This is my favourite foundation. At me in a shade 7, an excellent masking of a skin, a live beautiful face, I am very happy with a choice. Love the look and feel of this foundation. It is very blendable, non-streaking and just give you that little extra. It has s good staying power through out the day. A little tip if you want some extra glow: mix it with one pump of the CC-serum (I have tried to mix it with Apricot glow or Sunny flash (summer parties) and it just boosts the skin and I feel "fab". It works perfectly for my combination skin and is very buildable (however a little goes a long way). Positives: it's a great match to my skin tone (I have fair skin but with a lot of yellow undertones, so most other brands are much to pink for me). The foundation looks great on my skin and isn't drying or oily on my combination skin. Negatives: the smell.... This foundation is too fragranced. It also says that's it's a medium coverage. I would say it's definitely on the light side of medium, I have to use a lot to cover any redness and it doesn't cover acne or acne scars. It also feels like it never sets properly and has a slight sticky feeling on my skin, even after powder. I love everything that By Terry is doing; having makeup & skin care in the same time is heaven and rare to find. I had this foundation in the past, when there was no SPF, and sadly they have changed the colors. I was No.9 before and I've got a new with the same name and I was very disappointed to see it's darker. So I advise to try before you get, specially if you were using the old formulation. Also, this new one has a very strong scent and will last. On the other side: the foundation is full coverage to me, buildable, long wear and looks very natural on your skin. It's not sticky to me, I am not using any powder in general, it's not a matte foundation either, it's silky.